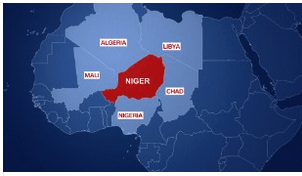 US has troops in Niger? Why? ed with a non-profit that runs Model United Nations programs.] But what I know even less about is why we have soldiers there. The US presence in Niger dates back to 2002, just months after the attacks of September 11, when the Bush administration launched the Pan Sahel Initiative, a counterterrorism program in which the U.S. worked with the militaries of Chad, Mali, Mauritania, and Niger to track down criminals and terrorists in the region. Over the next several years the program expanded to include more countries, ultimately getting subsumed into a new military command called Africom, created in 2007. Changes notwithstanding, what has remained constant since U.S. troops entered the region 15 years ago is their numbers have grown even while terrorist groups have continued to operate. The countries of the Sahel—which runs through Senegal, Mauritania, Mali, Burkina Faso, Niger, Nigeria, Chad, and Sudan—are among the world’s poorest and most unstable, with some of the highest fertility and lowest quality of life anywhere. Governments have little control beyond their capital cities, and throughout the region are many of the ingredients that breed terrorists and their sympathizers: a population disillusioned with its political leadership; a dangerously high number of unemployed young men; Islamic orthodoxy on the rise. Sahelian Africa provides the two conditions essential for penetration by al-Qaeda and its offshoots: weak institutions and the cultural access afforded by an Islamic setting. It is, in fact, already home to what is arguably the most dangerous and dynamic Islamic force in the northern half of Africa today: the Salafist Group for Preaching and Combat. …Big Oil, too, has lured the United States to the region: America already imports some 15 percent of its oil from West Africa—a figure expected to rise to 25 percent within a decade. Also of concern are the Chinese, who have been investing heavily in the region and whose influence the United States wants to limit. When four US special forces soldiers died in an ambush earlier this month in scrubby desert in western Niger, attention was suddenly focused on one of the most remote and chaotic war zones on the planet. Some reports claimed US troops were on a mission to kill or capture a high-value target in the area, perhaps even Adnan Abu Walid al-Sahraoui, the leader of the only local faction of fighters to have formally pledged allegiance to the Islamic State. U.S. military documents reveal new information about an American drone base under construction on the outskirts of the city. The long-planned project — considered the most important U.S. military construction effort in Africa, according to formerly secret files obtained by The Intercept through the Freedom of Information Act — is slated to cost $100 million, and is just one of a number of recent American military initiatives in the impoverished nation. The base is the latest sign, experts say, of an ever-increasing emphasis on counterterror operations in the north and west of the continent. As the only country in the region willing to allow a U.S. base for MQ-9 Reapers — a newer, larger, and potentially more lethal model than the venerable Predator drone — Niger has positioned itself to be the key regional hub for U.S. military operations, with Agadez serving as the premier outpost for launching intelligence, surveillance, and reconnaissance missions against a plethora of terror groups. This all sounds sadly familiar. Didn’t the US train and arm the indigenous Mujahadin in Afghanistan in the 1980s, to counteract the Russians, who had invaded? Do I recall correctly that the Mujahadin eventually morphed into the Taliban, who are now regarded as our enemies, and who have kept us pinned down in a useless conflict in Afghanistan for 15 years, with no end in sight? Aren’t we still “training” Afghanis, and dying in a quest whose ultimate goal is vague and undefinable? What about Viet Nam? Ken Burns’ latest documentary opus vividly reminds us of the early days of that conflict, when US “advisers” trained and accompanied South Vietnamese troops on missions to thwart the North Vietnamese from “Communizing” the South. One episode of the documentary, which I watched, coincidentally, last week, tells the story of the first American death in the Viet Nam conflict—a single Green Beret adviser on a mission with South Vietnamese soldiers. It was eerily similar to what just happened in Niger. Fifteen years later after that first death in Viet Nam, we were still fighting, and 58,000 American troops had died. I am not an isolationist. And I’m not an expert in US foreign policy. Maybe there’s a good reason to be in Niger and other African countries, on a limited basis. If so, I’d like to hear it. I’d also like the US press to report on this policy as often and as thoroughly as it analyzes Donald Trump’s inane, meaningless Twitter blurts. But even a layman’s look at the parallels between US involvement in Afghanistan, Viet Nam and Niger is enough to make one shudder. Individual, concerned citizens like me need to know more, and unless there is a compelling reason to continue these international military follies, perhaps our military needs to do less.